An inexpensive way to make your bathroom safer. 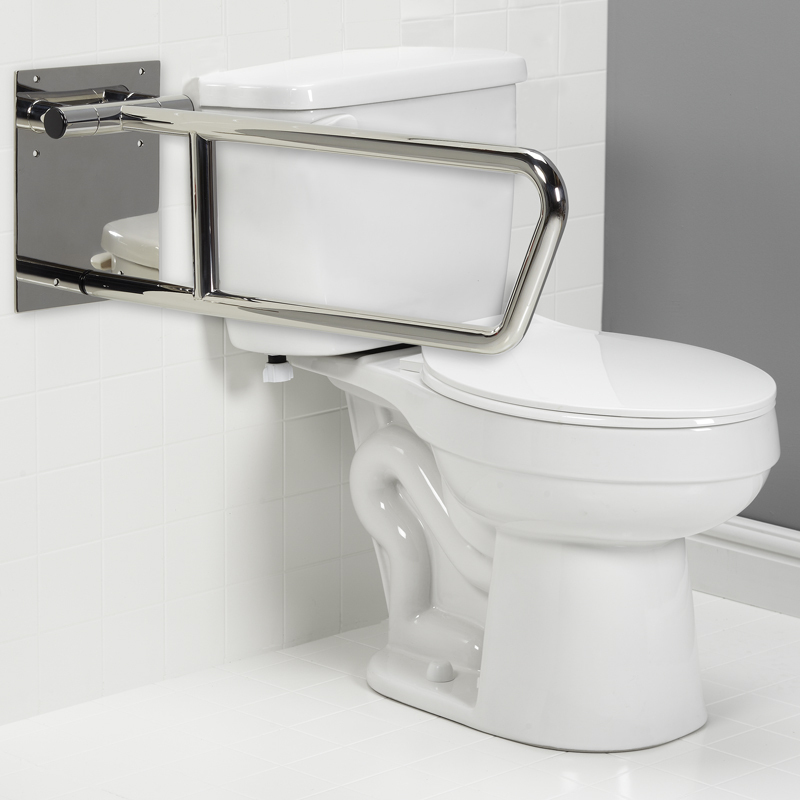 Installing grab bars in any bathroom is an inexpensive way to make the bathroom safer for people of all ages and abilities. 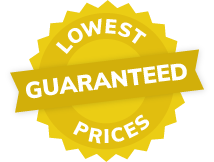 No matter how old you are, having a secure safety bar properly installed in the right locations will make you feel safe in the room where the most household slips and falls happen. 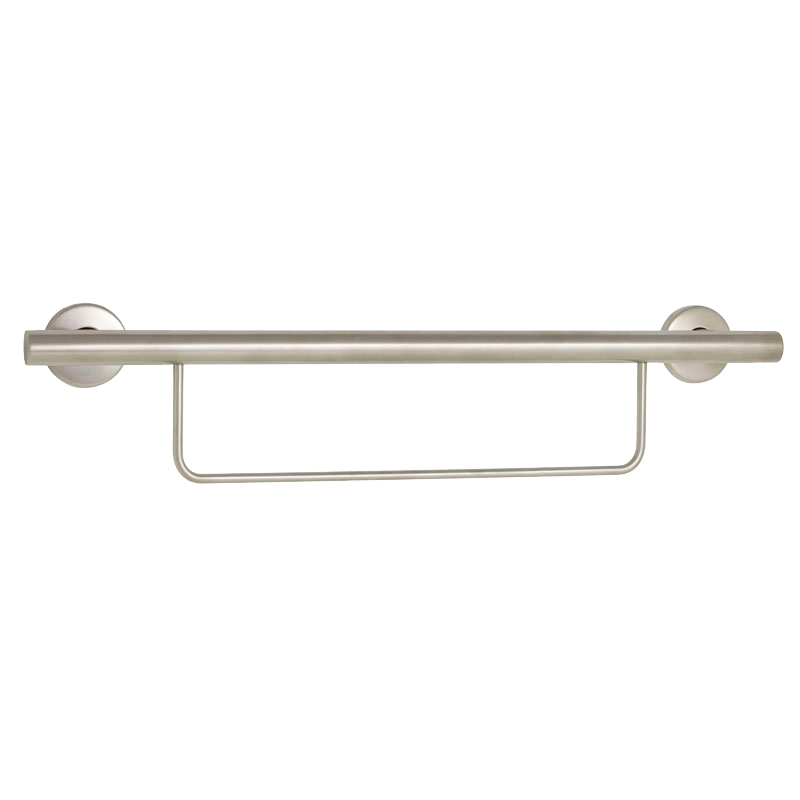 Where should Grab Bars be placed in the Bathroom? · horizontally underneath the controls. 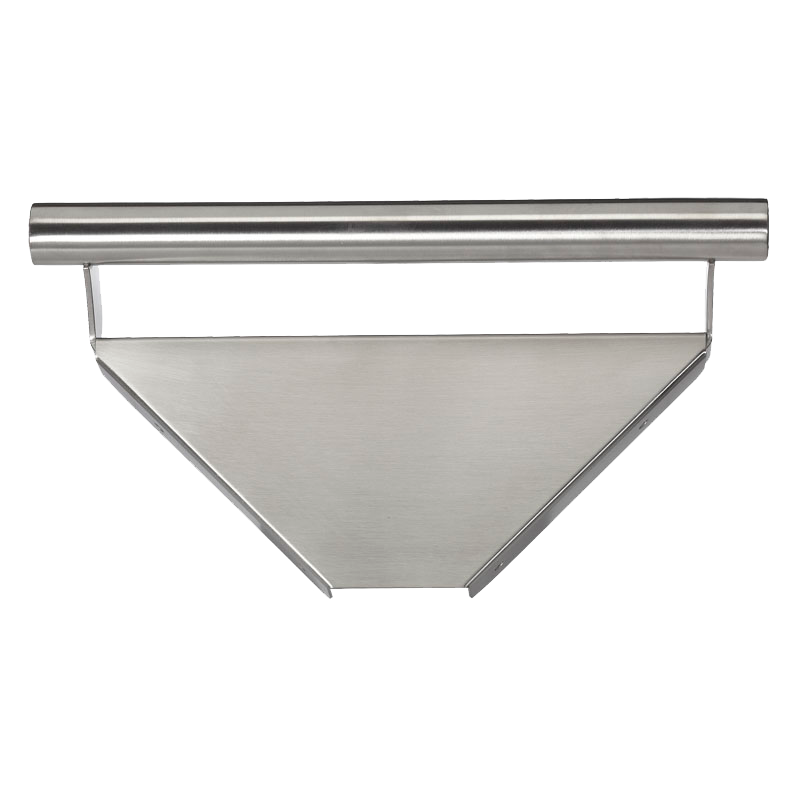 · vertically at the entrance, usually opposite the control valve, or on the side that someone would be stepping into the shower. 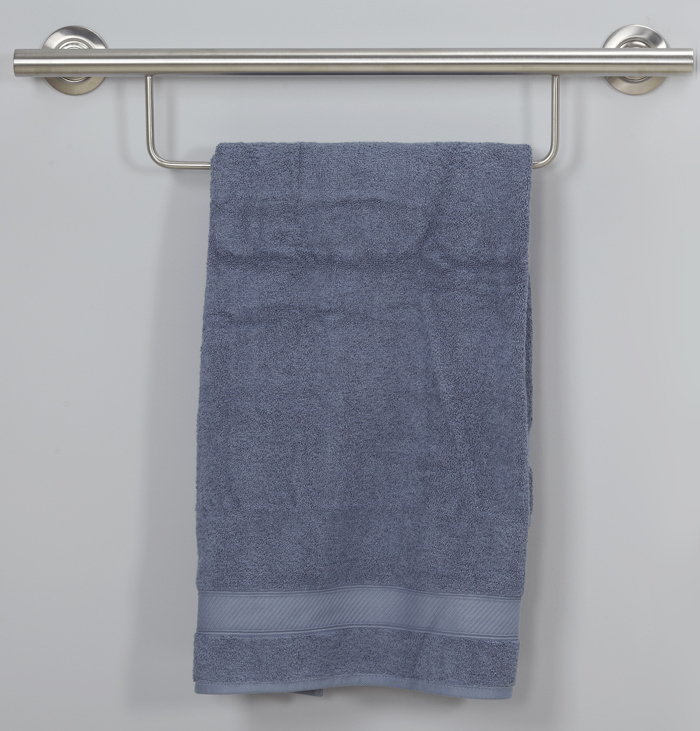 · Having a safety bar integrated with a towel bar installed just outside the shower provides extra support, and convenience of having your towel within a safe reach. 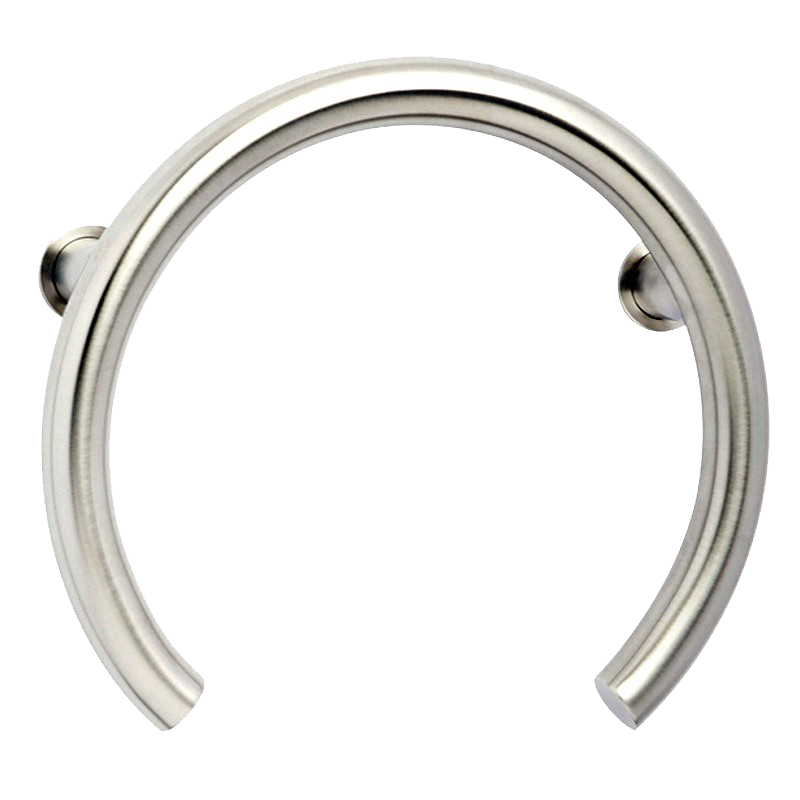 · Side of toilet bars help provide support when either sitting, or trying to stand up from sitting for those that may struggle with that. 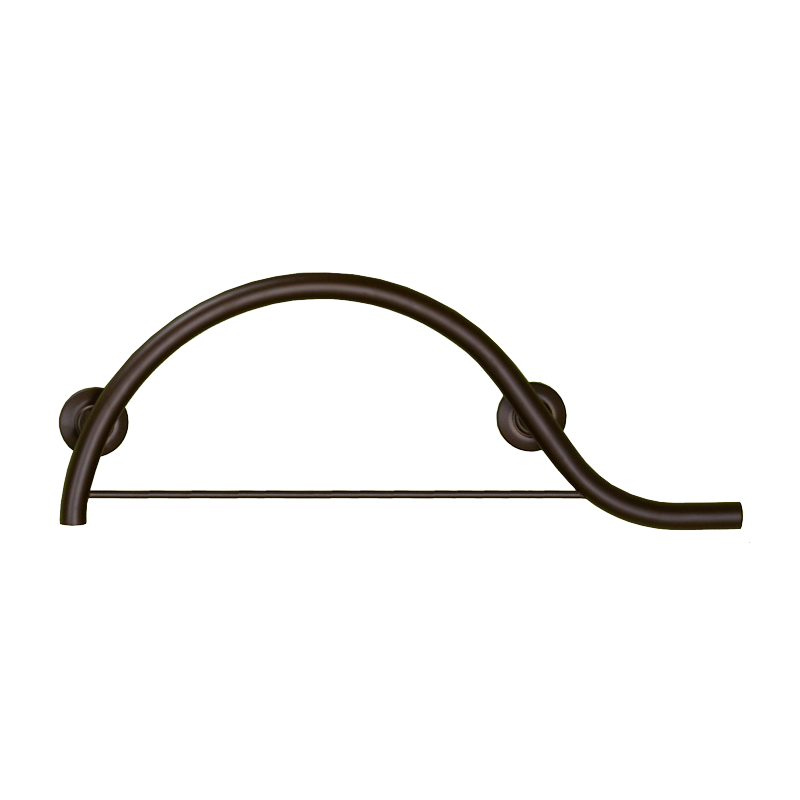 · Folding bars are available so you can move them out of the way when they aren’t needed. 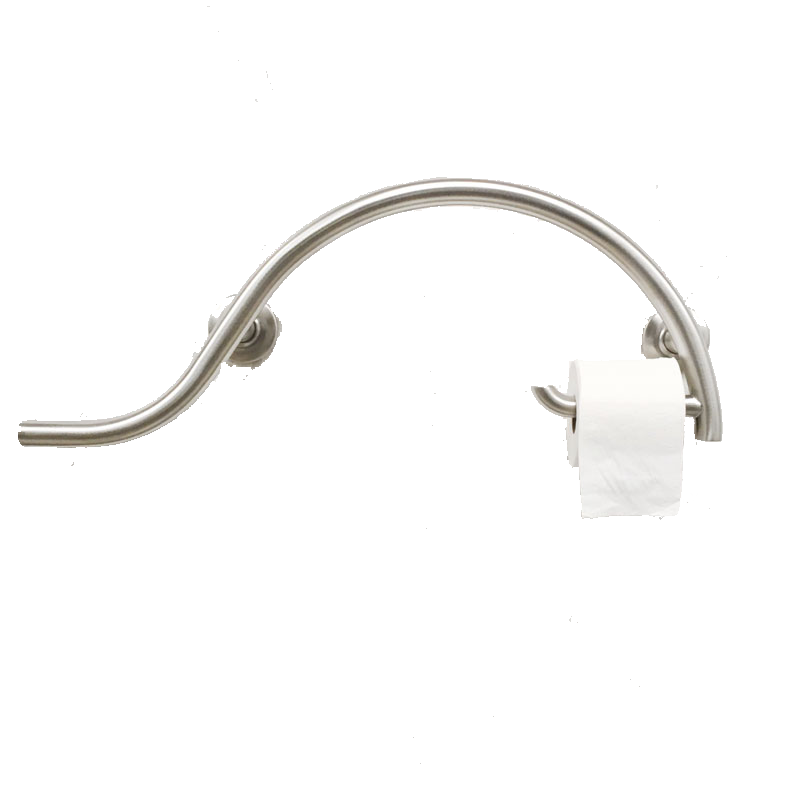 Integrated bars are available with a toilet roll holder, so you have have the convenience of both purposes handing where you need it. 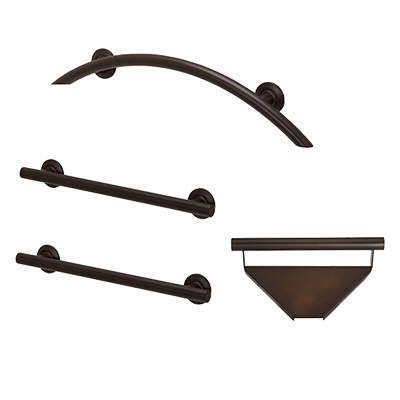 People often worry that adding safety bars will make their bathroom look institutional. 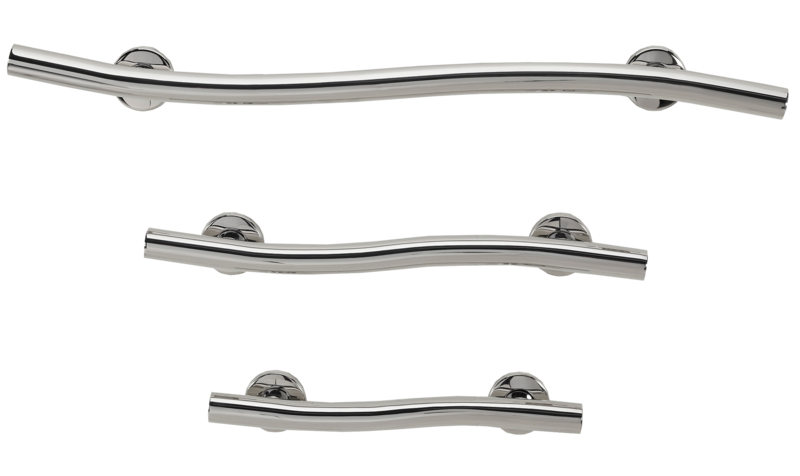 There are too many beautiful grab bar styles available now, so that is no longer an issue. 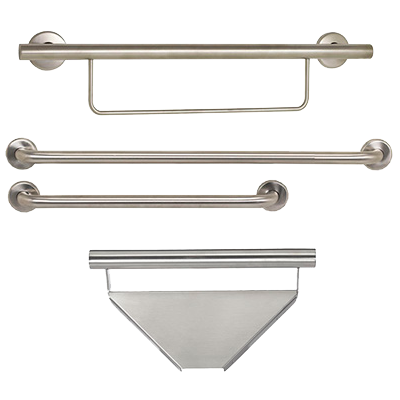 Designer finishes and integrated designs make your safe and functional bathroom look like it belongs in a magazine. 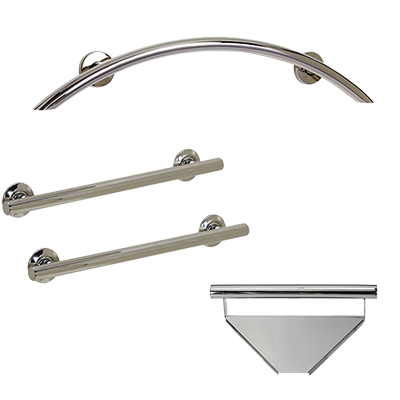 There are Designer Grab Bar packages and sets available that will help you complete your bathroom design. 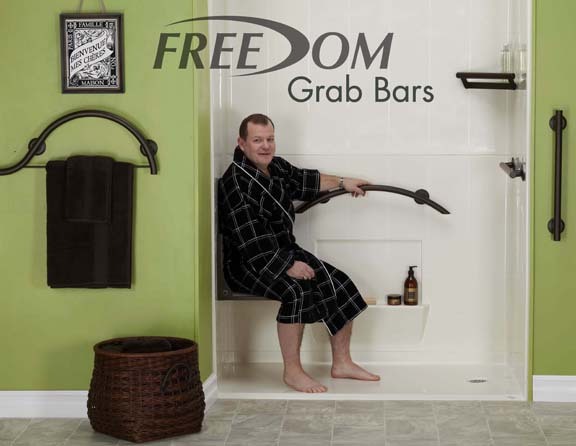 Freedom grab bars are proudly made in America.